1. Open the apps from the Disk Usage window. 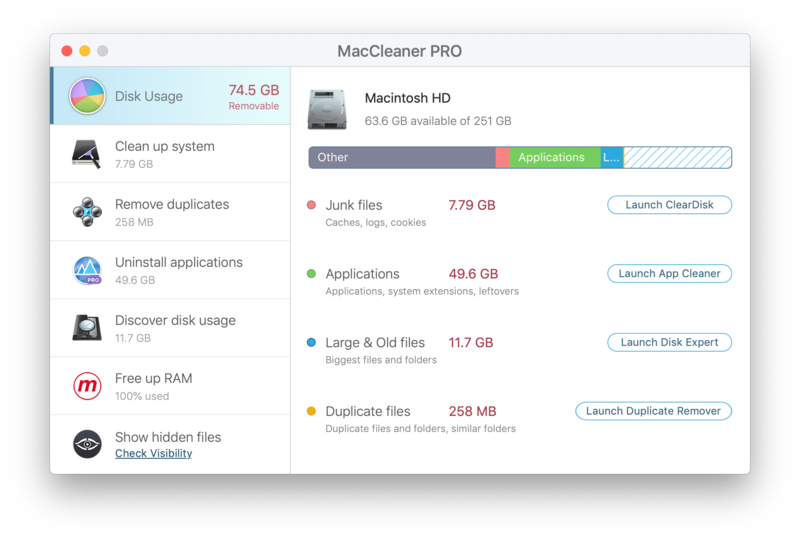 When you launch MacCleaner Pro, you will see your disk usage information and the statistics about your junk files, applications, duplicates, large and old files. Depending on what files you want to clear, click to open the appropriate application for that. 2. Open the apps from appropriate sections. Click on each section to find a short description for the apps and decide which one you need to use right now. 3. 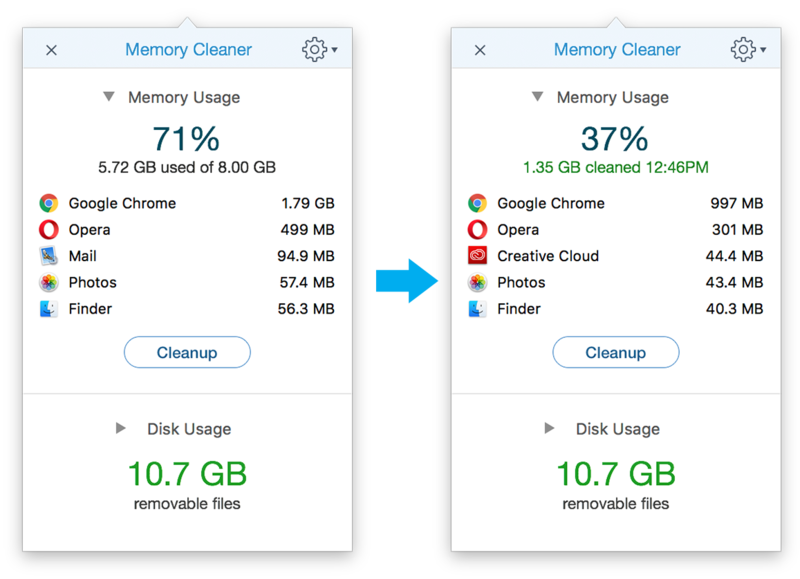 Use Memory Cleaner as a start application to estimate the occupancy status of the disc and memory usage. While you can choose the way that suits you most, we recommend that you start with Memory Cleaner. 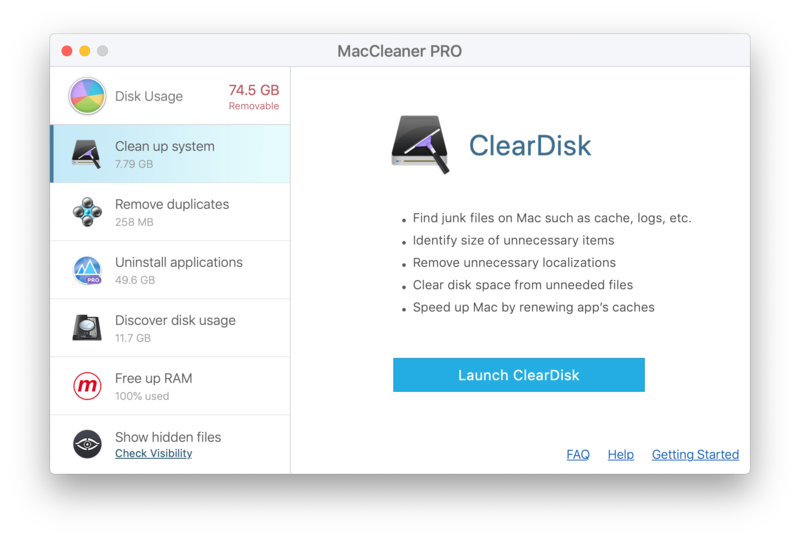 Memory Cleaner analyzes the hard drive space and gives an estimation of cleaning capabilities with MacCleaner Pro tools. Launch Memory Cleaner and find its icon in a Menu Bar. Click Memory Usage to check up which applications eat your space up. Click Cleanup to free up memory space. Click on Disk Usage to display which files may be removable on your disk.